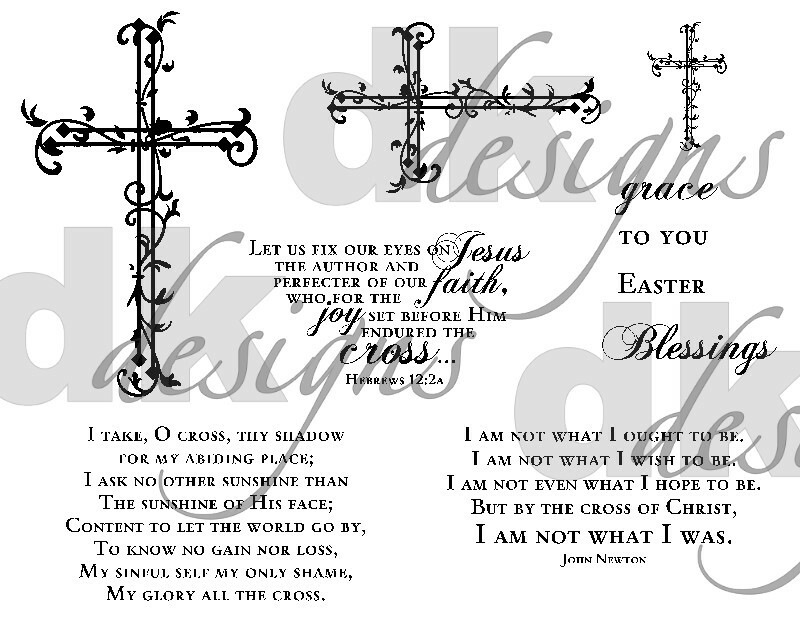 Here is a second peek at Our Daily Bread designs' July release - this set is called "the Cross of Christ", and was created by........me! I had made the cross image for ODBD's watermarks, and apparently Kelley had some requests for the image as a stamp, so she commissioned me to create a set around it. (Thanks, Kelley!) The cross comes in 3 sizes (the largest is shown). There are 3 text stamps, and 4 interactive word stamps as well. Here's a peek at the full set! The text stamp shown is a verse from the hymn "Beneath the Cross of Jesus". 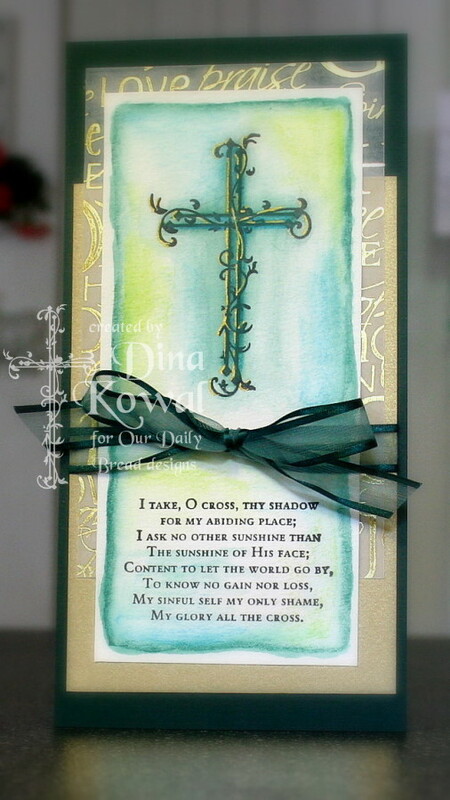 I love the line - "I ask no other sunshine than the sunshine of His face..."
For this card I stamped in black (Versafine Onyx) and then did a watercolor wash background. I miss my WC crayons...I like them better for filling in large areas...but they're overseas! I like the look of watercolor not going all the way to the edge - to get this effect, I draw a line just inside the edge of the paper with a WC pencil, then pull the color towards the center with a waterbrush. I threw a couple other colors in just for contrast. After the paint was dry, I highlighted the cross with a gold gel pen. Behind the main panel I used True Faith printed vellum and metallic Prism paper, both available at ODBD. Here are a few other samples using the set, if you haven't seen them yet - it is so cool for me to see these designs in other people's hands after working with them digitally for so long. BRILLIANT! This set will be a blessing to many for years to come! Well done Dina! FINALLY! I've been waiting for this set to become available! This is my favorite (and my favorite line from the song as well is the one you picked!) I can see myself using this set a LOT! 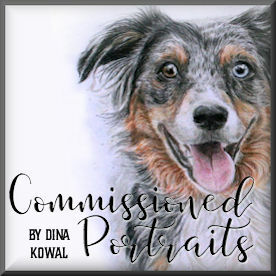 Thanks Dina - you really did a wonderful job! (can you tell I'm excited by all the exclamation points I used!!!???) Blessings on your day! What a gorgeous new set! Congratulations! I love the set and the sentiments. Look forward to the release! Dina, this is a beautiful set - great job! I am looking forward to buying your new set when it is released by ODBD next week. Congratulations! P.S. - I just saw another beautiful card using this great set posted today over at Bev's (Savor the Journey) blog. That hymn is on the short list of hymns that I have memorized in full. And I love it! The card is wonderful! AAnother must-have stamp set. I love this set, Dina! And your card is fabulous. Wish I could take lessons from you! Congrats Dina, I love it! Oh, this is just beautiful! I just loooove this!!! Its beautiful! I love your choice of colors and the dimension you used. So unusual. So inviting. Wow that is one amazing card! I'm totally in love with the New Cross stamp set. The song Beneath the cross of Jesus was my mom's favorite song. I can hear her singing this song. Mom has been living with the Lord for some time now. along with my daddy. In fact there are days that I have many of the Old time hymns buzzing in my head. Thanks for posting your card and new stamp. Dina, Absolutely gorgeous card!! Thank you for sharing such a lovely card that I would like to make and give to someone myself! 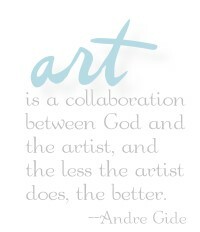 You are so blessed by our Lord with a great creative talent and such a gift to have!! I love these stamps and wish I had them, too!! Keep up the beautiful work and God Bless! !